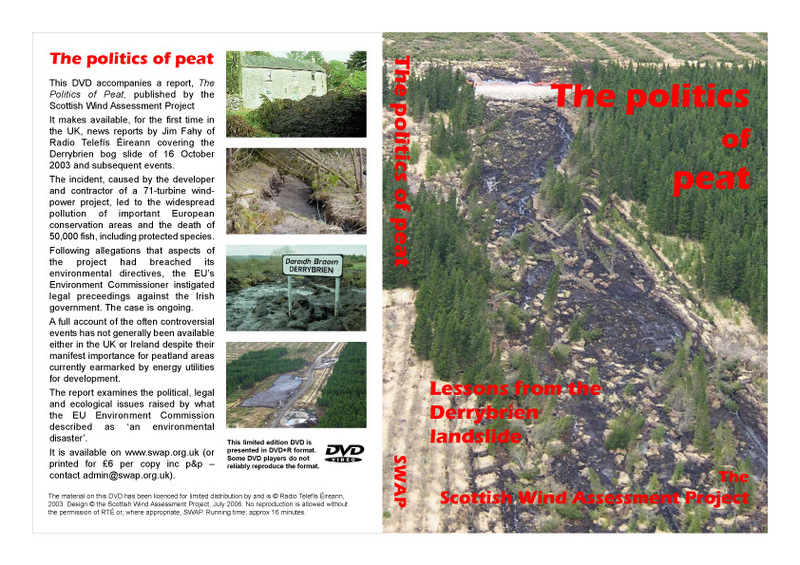 In October 2003, construction of a wind-power project close to Derrybrien, Co Galway, caused a massive peatslide. The slide severely damaged local waterways, polluted the nearby EU-designated Lough Coutra Special Area of Conservation (SAC) and killed an estimated 50,000 fish, most of them members of protected species. In July 2008, the European Court of Justice (ECJ) ruled against the Irish Government on the grounds that it had failed properly to transpose an EU Directive into Irish law and had consented the project despite inadequate Environmental Impact Assessment (EIA). It is the first time that a Member State has been successfully prosecuted on the basis of the quality of an EIA. 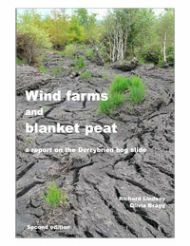 The peatslide, which the ECJ described as "an environmental disaster", had been drawn to the attention of the EU's Environment Director by members of the Derrybrien Development Cooperative Ltd. The co-operative also commissioned mire conservation experts from the University of East London (UEL) to investigate the incident. SWAP has published two reports on Derrybrien. 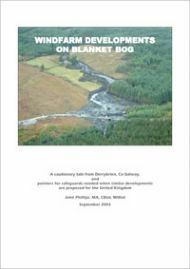 For the first, Windfarm developments on blanket bog, it sponsored a visit by moorland conservationist John Phillips to the site in July 2005. He submitted the report to Scottish Natural Heritage but it dismissed his concerns. 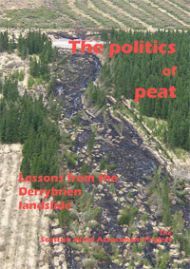 The second, The Politics of Peat, offers an overview of the Derrybrien case, the pertinent EU Directives and the mechanics of peatslide. "A cautionary tale from Derrybrien"